A spectacular 27-hole course! This course has been divided into three nines and named after the three local main landmarks. 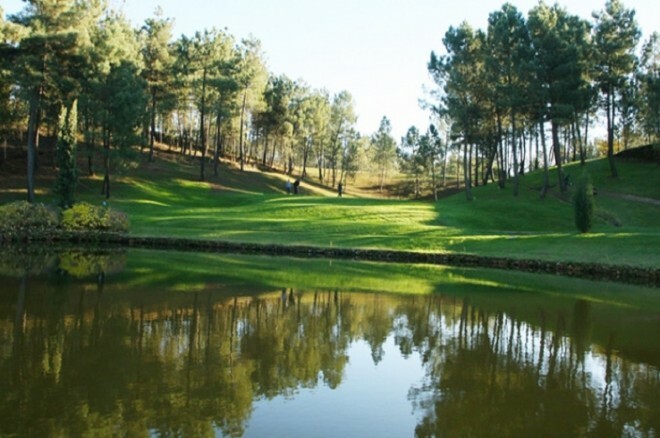 The first nine holes is the Caramulo Course, the second nine the Estrela Course and the third nine the Buçaco course. Surrounded by trees, gorse and heather, this course is laid out on undulating terrain with good views of the local mountain ranges of Serra do Caramulo and Serra da Estrela. This Par 72 course has some narrow fairways with the trees on either side. There are also bunkers to contend with throughout the course, so it can be very difficult, even for good golfers.